Posted in General Health & Wellness on March 21, 2011. Last modified on April 07, 2018. Read disclaimer. If you're one of the millions of people caring for both your children and your aging parents, you are part of the so-called "sandwich generation." Plan for the future. Although difficult to address, it's important to discuss such things as living wills, medical power of attorney and even estate planning. Talk with your children. Discuss the changes taking place and ask for their help and understanding. Reassure them that you are not abandoning them, but you have new responsibilities that may require more of your time and resources. Take a break every day. Avoid burnout by spending at least a few minutes each day relaxing. Prayer, meditation, or even a short walk can help rejuvenate you. Delegate. If someone offers to help, take them up on it. Also, hold a family meeting with siblings and extended family to cover topics such as time and financial issues. Adjust your attitude. The way you perceive a situation will largely determine how stressful that situation is for you. By changing your attitude to a more positive perception, you often can reduce the amount of stress you feel. Set realistic expectations of yourself and your world. Learn to manage time efficiently and focus on improving your communication skills. Talk with someone who has already been there or take a caregiver training class. You can learn everything from how to properly bathe someone with limited mobility to how to handle medical equipment. Maintain your health. Eat a balanced diet and don't abandon your exercise routine. Plus, be sure to get at least 7.5 to 9 hours of sleep per night. This is especially important for care- givers who can be drained emotionally, physically and mentally. Arm yourself with knowledge. A multitude of resources is available for caregivers. Services -- The eldercare.gov web site can help you find local services. Benefits -- At benefitscheckup.org you can find help with any federal, state and local program benefits your relative qualifies for. Assistance programs -- The web site benefits.gov and Tips and Resources for Caregivers by the Centers for Medicare and Medicaid Services can help you find which government benefits you may be eligible for and provide information on how to apply for assistance. In Canada, visit servicecanada.gc.ca for information on available assistance. Above all, don't be afraid to ask for help. If you feel you are drowning in responsibility or are confused about which steps to take, share your concerns with friends, a therapist or clergyman. Recognize that asking for help is a sign of strength, not of weakness. Caught Between Your Parents and Your Children, D. Wayne Matthews, Human Development Specialist, North Carolina Cooperative Extension Service. Medication mix ups and accidents are on the rise. Here are tips for preventing dangerous medication mishaps. Over the last decade, many adults and seniors have ended up in the hospital because the medications they expected to help them actually hurt them. Unfortunately, bad reactions to medications are on the rise, according to a report by the Agency for Healthcare Research and Quality (AHRQ), a division of the U.S. Department of Health and Human Services. Between 1997 and 2008, hospital admissions doubled among Americans aged 45 and older for medication and drug-related conditions. These hospital admissions include the effects of prescription and over-the-counter (OTC) medicines as well as illegal drugs. Drug-induced delirium, which is general confusion and agitation caused by drugs. Common causes are drugs for sleeping, nausea and pain. 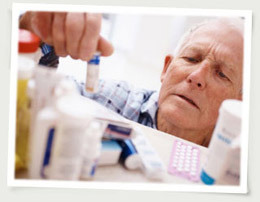 Elderly patients are more sensitive to medicines than younger adults. Poisoning or overdose from codeine and other narcotic medicines. Bad reactions from narcotic pain medicines are especially common in older adults. Withdrawal from prescribed medicines or illegal drugs. Drug withdrawal occurs when someone suddenly stops or takes much less of a drug after being on it for a long time. You can lower your chance of problems with your medication. First, don't take medicine that is not prescribed for you. Also, remember that it is not safe to drink alcohol when you take medicine for sleeping, pain, anxiety or depression. Bring a list or a bag with all your medicines when you go to your doctor's office, the pharmacy or the hospital. Include all prescription and over-the-counter medicines, vitamins and supplements. Remind your doctor and pharmacist if you are allergic to any medicines. Ask your doctor or pharmacist to use plain language. It may also help to write down the answers or bring a friend or relative with you. Many drugs look alike and have names that sound alike. Check with your doctor or pharmacist to be sure you have the right medicine. Learn how to take your medicine correctly. Read the directions on the label and other paperwork you get with your medicine. Medicine labels can be hard to understand. Ask your pharmacist or doctor to explain anything you do not understand. Are there other medicines, foods or activities (such as driving, drinking alcohol or using tobacco) that you should avoid while using the medicine? For example, ask if "four doses daily" means taking a dose exactly every six hours or just during regular waking hours. Ask what "take as needed" really means. Find out about possible side effects. Many drugs have side effects. Some side effects may bother you at first but will get better later. Others may be serious. If a side effect does not get better, talk to your doctor. Make your medicines work for you, not against you. By taking steps to get the best results from your medicines, you can help prevent problems. Columbus, OH - A good mood can help older adults improve their decision-making and working memory, say researchers from Ohio State University. In the study, half the participants were given a thank you card and two bags of candy to help boost their mood; the other participants did not receive anything. All participants then completed tasks that tested their memory and decision-making. 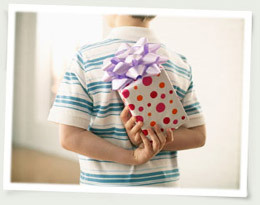 Those given gifts performed better on both tasks than those without gifts. "Our findings show how simple methods to improve mood can help improve cognitive functioning and decision performance in older adults, just like they do in younger people," said study co-author Ellen Peters. Bristol, England - Kids who spend two or more hours watching TV or on the computer are more likely to have psychological problems than kids who don't, according to research from the Centre for Exercise, Nutrition and Health Sciences at the University of Bristol in England. This was true regardless of how much daily exercise the children got. The study was based on the self-reported TV and computer usage of 1,000 children between the ages of 10 and 11. They also completed a questionnaire which rated their emotional, peer, conduct and hyperactivity problems. Researchers say that they can't determine if media exposure causes the psychological problems or if troubled youth simply seek out screen time. Study authors suggest that limiting screen time may be important for ensuring children's future health and well-being. As a side note, The American Academy of Pediatrics' position is to discourage any media time for children under the age of 2; it's better that they be involved in interactive activities. And, though it is likely to be met with resistance, the AAP also suggest limiting older children's TV, video game and computer time to no more than 2 hours per day. (A couple tips they suggest are to hide the remote and allow no TV in the childrens' bedrooms.) It is more beneficial for children, they believe, to be reading, talking or taking part in exercise or outdoor activities. Invokana, a drug thatâs used to help control blood sugar in people with diabetes, may also help thousands of people who require dialysis. A top Red Cross official says heâs âmore concerned than I have ever beenâ about the possible regional spread of the Ebola virus after a new spike in cases.